Snags, which are dead standing trees, are an important resources for vertebrate and invertebrate species into forested ecosystems. Snags can be created from living trees if there is a shortage of natural snags. IRM has the expertise to select the appropriate trees for snags. 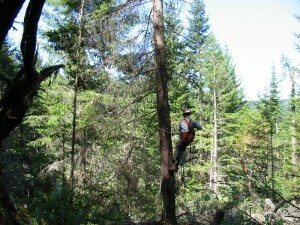 Conifers are best, as they normally last longer than deciduous trees. Poor quality or deformed trees, such as those with broken tops or large branches, make excellent snags. As shown on the right, a jagged top will decay faster and supply more habitat than a smooth-topped tree. As shown below, snags can be created by sawing or blasting the tops off of living trees; girdling live trees; inoculating live trees with fungus; and inducing bark beetle attacks. 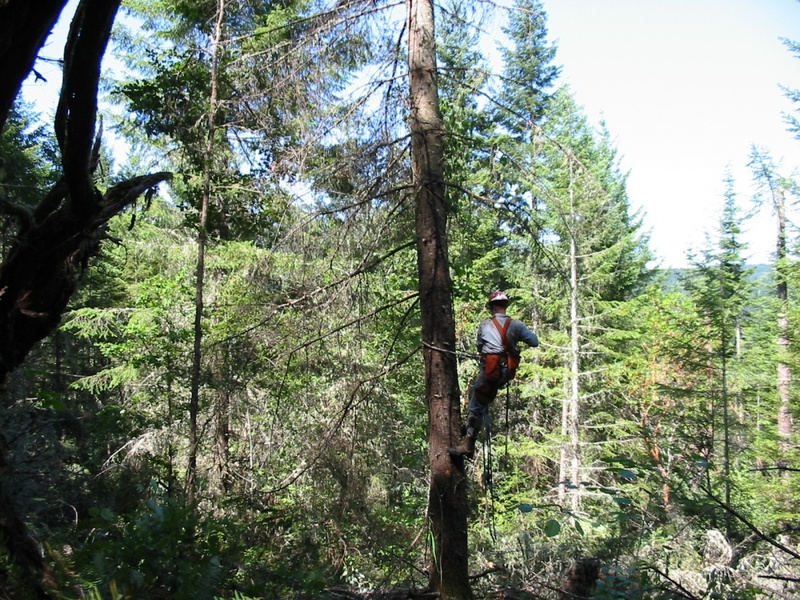 Snag trees should be at least 14″ in diameter, however smaller diameter snags are used by many cavity nesters and foragers. Please visit our Projects: Habitat Restoration page for examples of Snag Creation Projects completed by IRM.